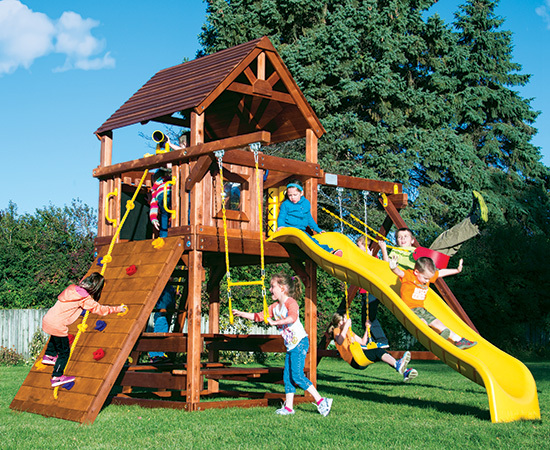 Our Fiesta Clubhouse playsets boast the classic Clubhouse style. 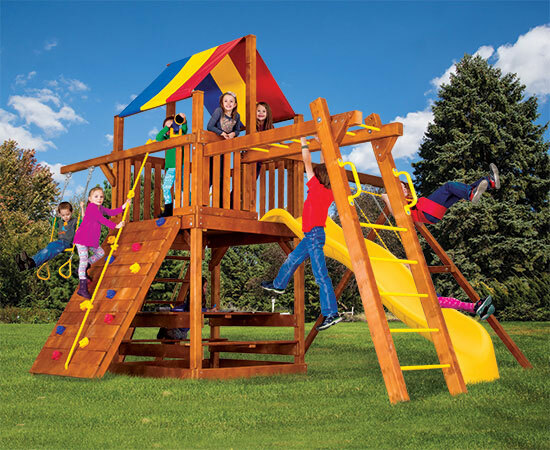 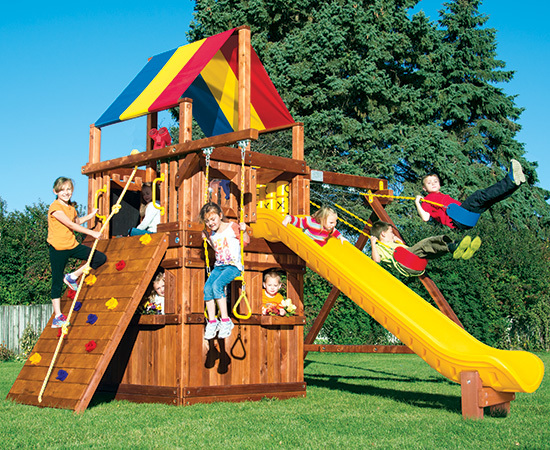 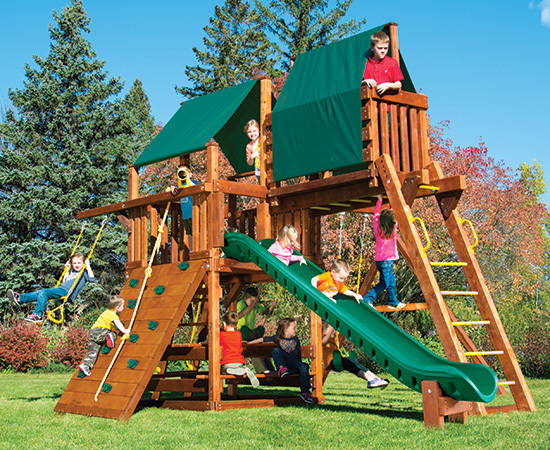 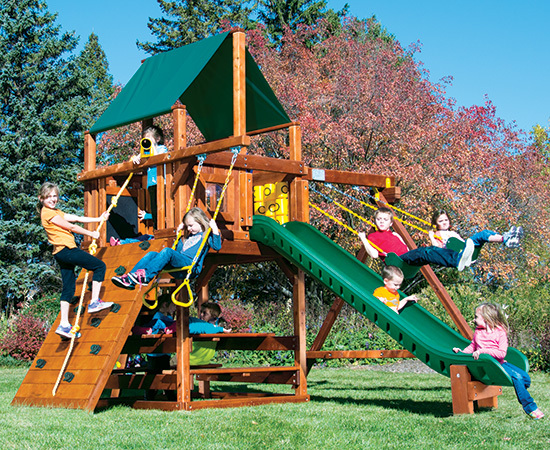 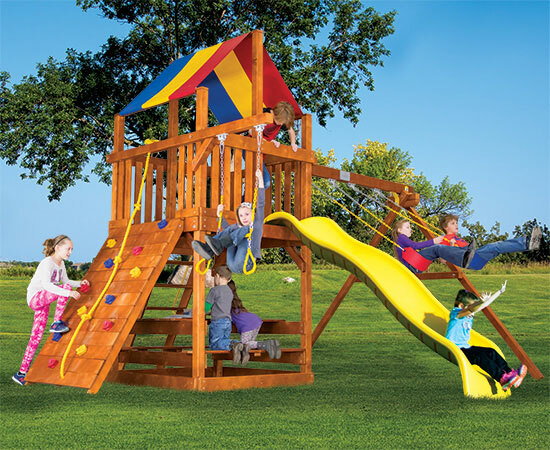 These playsets have all the primary play activities for swinging, sliding, climbing and fort fun. 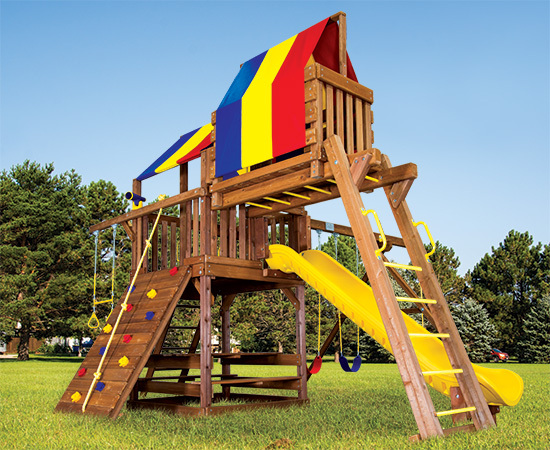 A great design for smaller size yards and made with a clean traditional clubhouse silhouette. 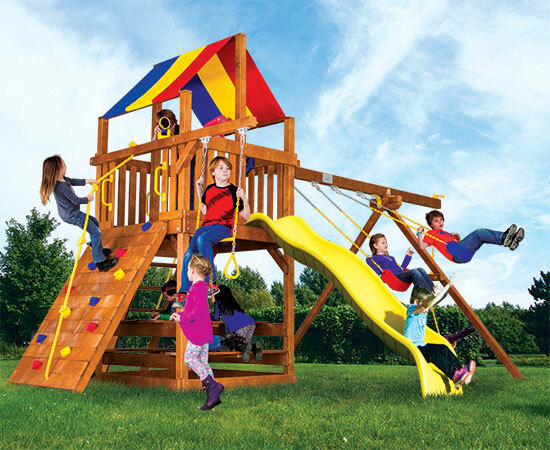 They can have Scoop slides or Wave slides added. 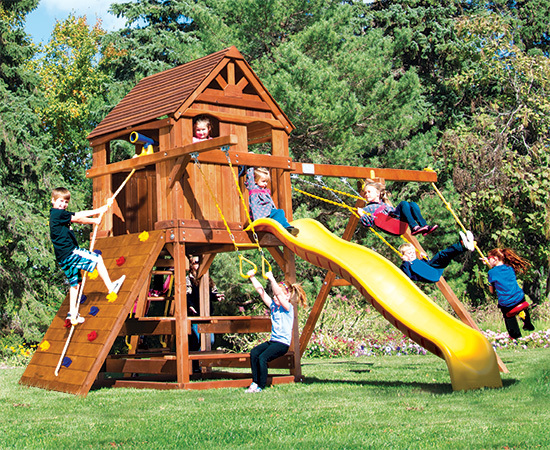 These swing sets are available with many playset options and add-ons. 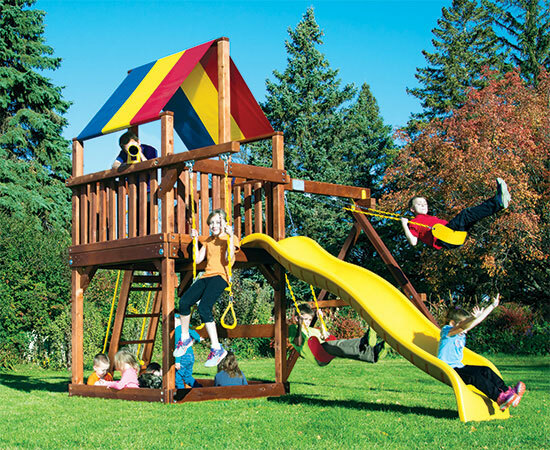 All the slide, swing beam, roof and color variations and combinations are available. 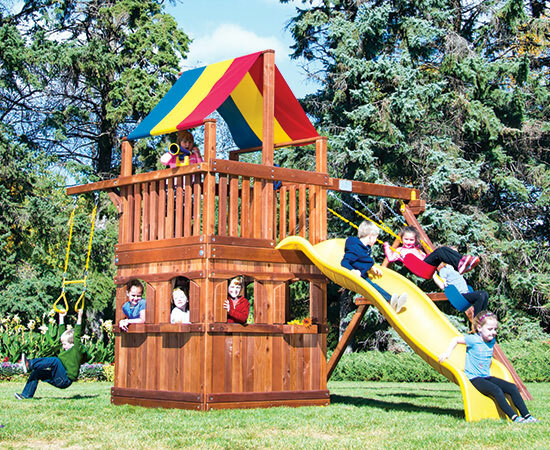 Fiesta Clubhouses are designed to be semi-modular and non-expandable.